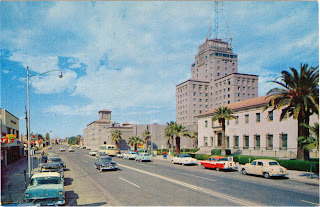 Postcard US-3372307 to Poland was a 1950s vintage card of a street view looking north on 1st Avenue past the west entrance to the U.S. Post Office in downtown Phoenix, Arizona. Just North is the Hotel Westward Ho. 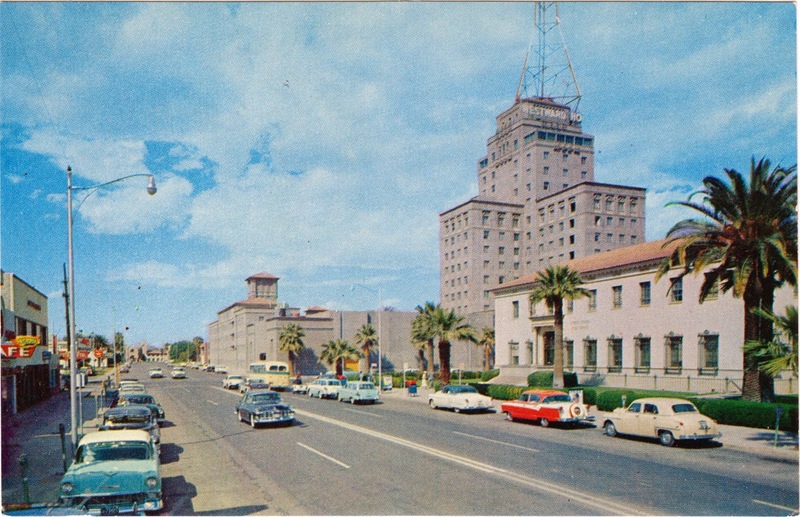 Also known as Federal Building-U.S. Post Office, it opened on September 29, 1936 and operated as the main post office of Phoenix for over thirty years, A landmark in downtown Phoenix, the Federal Building-Post Office was symbolic of the federal presence as it also hosted several other Federal agencies. It is currently part of Arizona State University at the Downtown Phoenix campus. Listed on the National Register of Historic Places on February 10, 1983, the Post Office features Spanish Colonial Revival architectural design. I was simply amazed at the architecture of this absolutely beautiful space Miami events! The environment was unbelievable. I was fortunate enough to visit a place like this, we found awesome things one after another after another.